Early in 2017, Lake Macquarie resident Claire Stewart started Lake Macquarie Boomerang Bags, keen to join with the worldwide phenomenon of community groups working to get rid of plastic bags. Unlike single use plastic bags, Boomerang Bags keep being used over and over - and because they are made of mostly recycled fabric, are the ultimate in sustainable shopping bags. With Supermarkets promising to phase out plastic bags, the need for reusable shopping bags has never been greater! Claire worked with several local Lake Macquarie community groups, to organise sewing workshops, during which volunteers made a growing collection of bags, destined to be provided free of charge for local residents to use when shopping. However, when Claire had to recently move away from the area, the local scheme looked in jeopardy. But, in an almost seamless move, Anna Dowley and her team from The Canopy, stepped in to keep the scheme intact. The Canopy is a non-profit organisation that provides multiple services for families, children and the community. The Canopy operates its administration from Cameron Park Community Centre but its services extend throughout the Lake Macquarie and Newcastle regions, including a shop-front in Cardiff's old library. 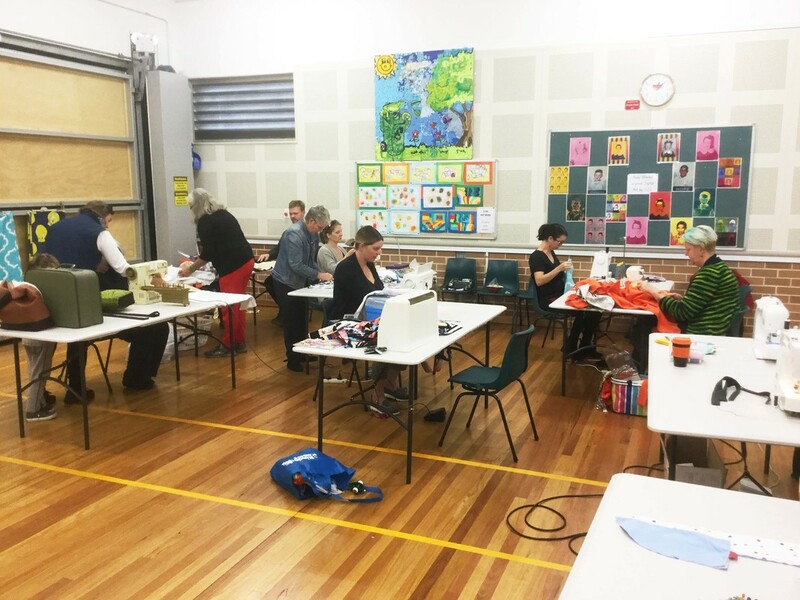 One of Claire’s first moves back in June, was to team up with CASNG, to hold Lake Mac Boomerang Bag’s first ever Sewing Workshop (you can read about that Workshop by clicking the link below). Anna and The Canopy have built on that earlier good work, by teaming up once again with CASNG, to hold another successful Sewing Workshop in November 2017. CASNG and The Canopy wish to thank Cathy & John, Louise and Amelia, Ruby, Anne, and Lorelle, as well as Anna herself, for bringing their sewing machines, expertise, ideas, and sewing up a storm on the day. ​Cathy from Upcycle Newcastle joined us with her machine, and also passed on some terrific ideas about bag designs that are quicker to sew. An incredible 32 Boomerang Shopping Bags were cut from donated fabric, pinned, and then sewn together during the Workshop - a very credible result, as most of the sewers had previously never sewn a Boomerang Bag together before. A big thank you also goes to Cardiff North Public School for donating the school hall for this event, an excellent use of a community facility for community benefit. CASNG was responsible setting up and packing up the hall, and keeping the workers supplied with drinks and something to nibble on, as well as some cutting, pinning and ironing. 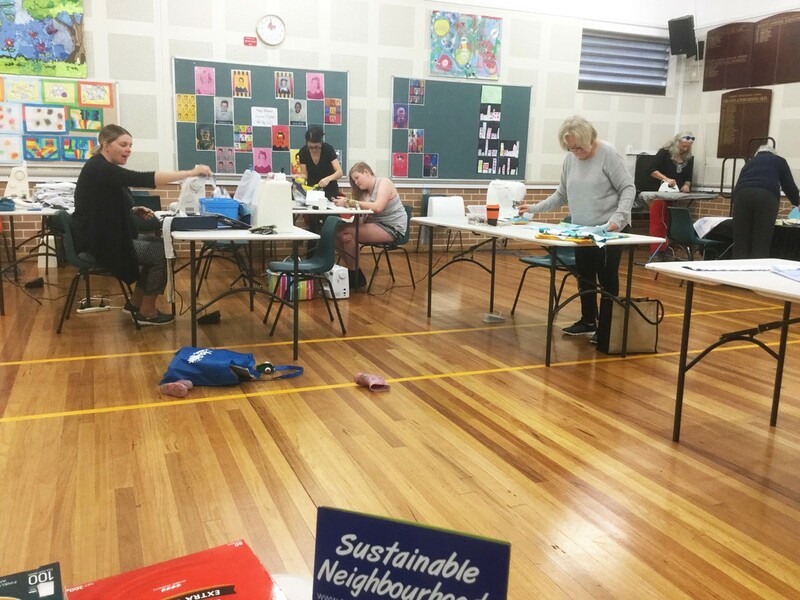 Thank you to all of those people who gave Lake Macquarie Boomerang Bags a great start to life, by being part of the Sewing Workshop held at Cardiff North Public School recently. CASNG was proud to be part of this launch activity - by organising the venue, helping with publicity, and helping to set up on the day. This was the first Sewing Workshop, and Claire Stewart and her team managed to produce a useful number of bags on the day. But this is just the start - many more bags will be needed to service the entire City of Lake Macquarie - to help it become plastic bag free! Unlike single use plastic bags, Boomerang Bags keep being used over and over - and being made of mostly recycled fabrics are the ultimate in sustainable shopping bags. After starting in a small way on the Gold Coast, Boomerang Bags have spread to communities all around Australia. Provided free to communities by volunteers who collect fabrics and then sew the bags at workshops. After the success of the first Sewing Workshop, CASNG will be looking at dates to organise more. by local communities, for local communities. And soon they'll be found all over Lake Macquarie. for when the next Sewing Workshop is on.